Live your dreams to the fullest by achieving 100% cosplay goals. Circle lenses have been playing an important role in cosplay transformations. They help reviving the spirit of the character by giving the right expressions to your peepers. This Halloween seems to be all about “Harley Quinn”; so we bring you different type of lenses that compliment the character. Sweety Sparkle 2 tones grey help replicate Harley Quinn’s eyes. They blend in flawlessly leaving no traces of you wearing the lenses. They stay comfortable & moist hence no vision obstructions are felt during the entire cosplay performance. 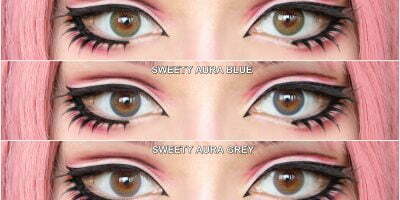 Check out review of Sweety Sparkle 2 tones grey for more real life pictures.